The 2017-2018 school year is underway, which means that motorists need to stay alert and drive more slowly through school zones — especially here in Florida, which ranks second in the country for child-pedestrian fatalities. 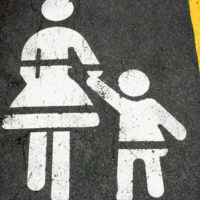 In fact, almost one-third of child pedestrian fatalities occur between 3 p.m. and 7 p.m., which is when many children are leaving school and after-school activities. Driving above the posted speed limit in a school zone. Failing to come to a complete stop at a stop sign or crosswalk and failing to properly check a crosswalk for pedestrians. Distracted driving, such as talking or texting on your cell phone. Allowing your child to ride his or her bike without a helmet. Failing to check your blind spots when backing up. In fact, according to Safe Kids of Northeast Florida, every year more than 260 people are killed and 15,000 people are injured from cars backing into them. Children under 5 years old are most at risk of being backed into. In April 2017, a 35-year-old motorcyclist struck and killed a 15-year-old skateboarder in Orlando. Several children were outside playing when the cyclist crashed into the neighborhood entrance. Witnesses say the 15-year-old “flew out of his shoes.” He was taken away in an ambulance and pronounced dead at the hospital. The cyclist fled the scene and was discovered hiding in a backyard. Also in April 2017, a car plowed through a group of kids who had just gotten off their school bus on Allegheny Road in Poinciana. The incident occurred just as an 11-year-old girl was calling her dad to pick her up from the bus stop. The father, who happens to be a Polk County deputy, came running when his daughter screamed. Five middle school children were struck, as was a pregnant woman in another vehicle. Three children sustained minor injuries, and two were critically injured. A 13-year-old boy died from his injuries. In February 2017, a 19-year-old motorist attempting to pass another vehicle steered onto a sidewalk and struck a girl who was walking home from school. She was taken to the hospital with serious injuries. A 15-year-old boy walking with her was grazed but sustained only minor injuries. He says he was able to dive out of the way just in time. The driver fled the scene but was apprehended by Orange County police. Contact an Orlando personal injury attorney at The Pendas Law Firm today for a free consultation if your child was injured or killed by a reckless or negligent driver. We will help you recover compensation for your injuries. The Pendas Law Firm also represents clients in the Fort Myers, Tampa, Fort Lauderdale, West Palm Beach, Jacksonville, Miami, Daytona Beach and Bradenton areas.